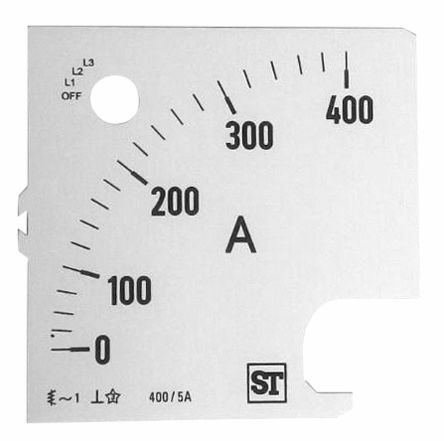 90° scale arc, accuracy class 1.5Manufactured to BS89/IEC51Frequency range 15 to 400HzOperating temperature range: –25 to +40°CFlame retardant case to UL94V0Panel cut out: 45 x 45mm, 68 x 68mm, 92 x 92mmTerminal covers supplied separately (see accessories). 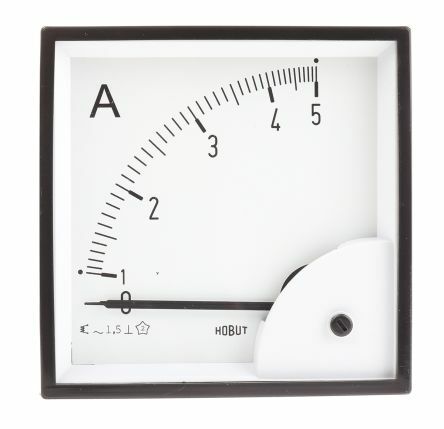 This range of moving-coil meters is designed for production of a wide range of control apparatus.Intended for direct current measurements.All models include a parallax correction mirror and zero adjustment.Class of precision: 2.5. 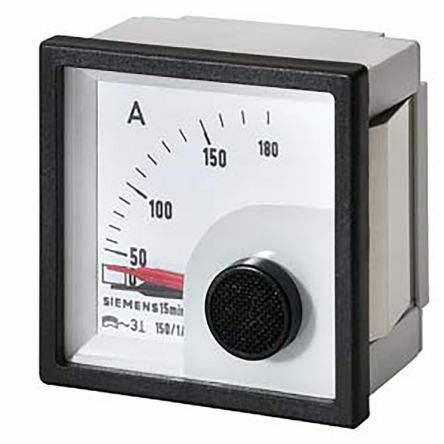 Accessory for Switch disconnector with fuses In-line design, pluggable Ammeter, Bimetal 100/1 A, Cl. 1, 1 VA 1, 2-fold overload. 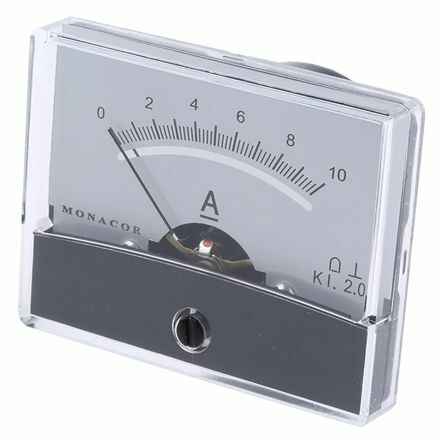 Panel meter scales suitable for selector switch series of moving iron ammeters measuring 48 mm, 72 mm and 96 mm.